One of my best days ever…. Thursday was sunny and beautiful. The temperature was almost 70˙. And yes, I still can’t believe I’m in Rome. Our first stop was to the Colosseum. There we saw what looked like a bunch of “USC mascots” (dressed-up gladiators who pose for pics with tourists.) 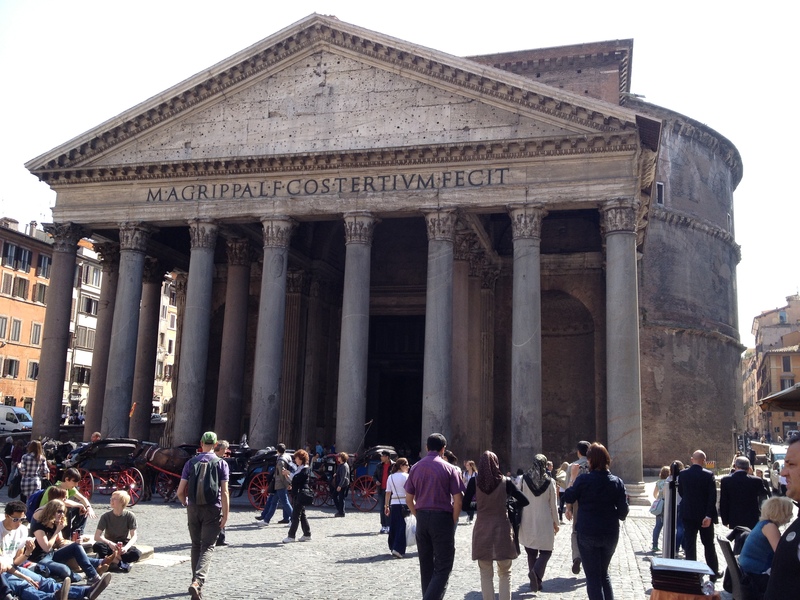 As I walked by, one whacked me on the rear with a plastic sword and said, “Come take a picture little man,” to the delight of our tour group…. 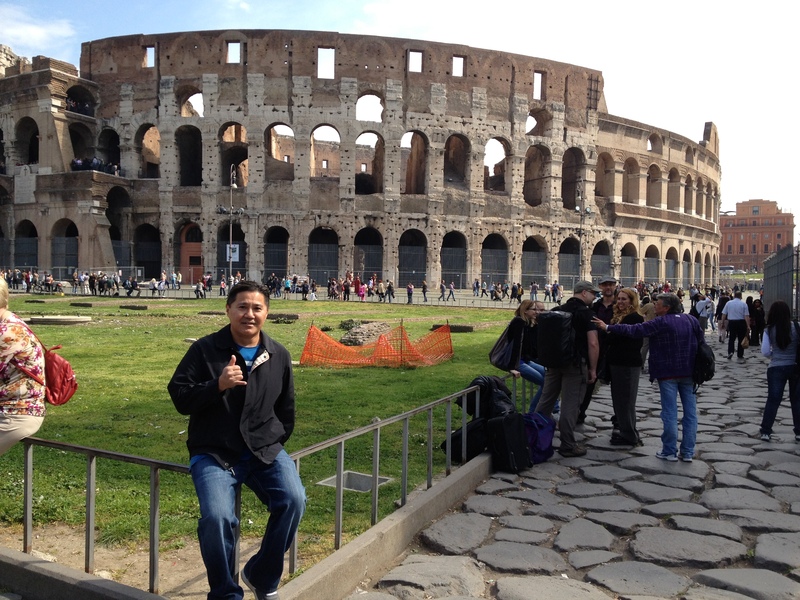 Javi then took us on a walking tour through the side streets of Rome. 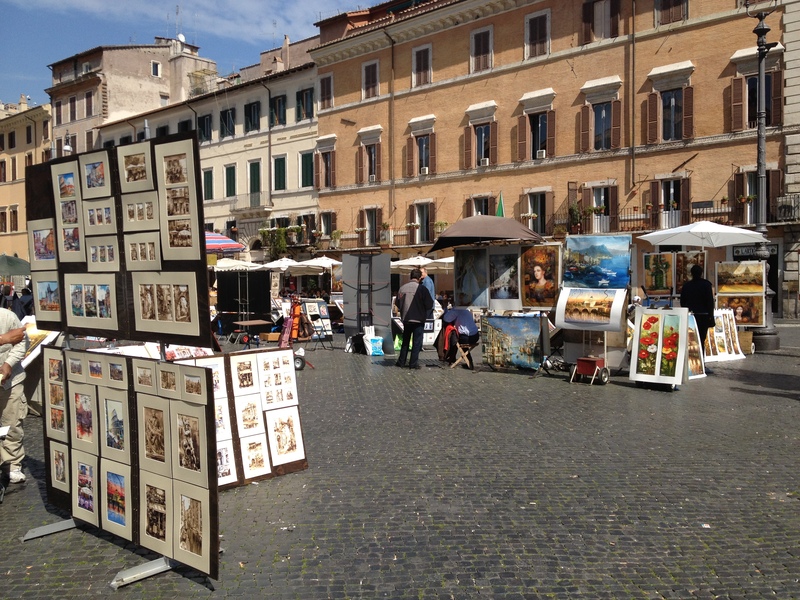 He calls these streets the “Real Rome” where many tourists don’t get to explore. 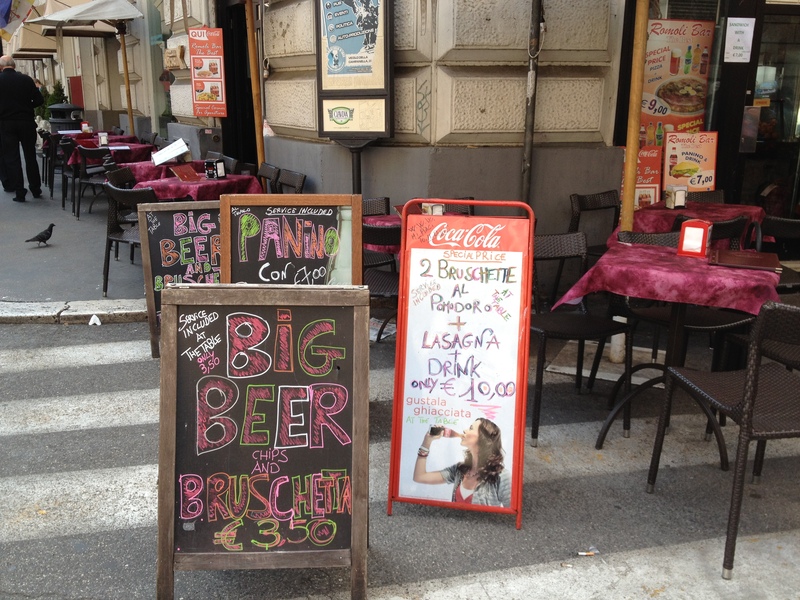 Most of the side streets are cobblestone and are full of cafés, gelato shops, and neighborhood churches. 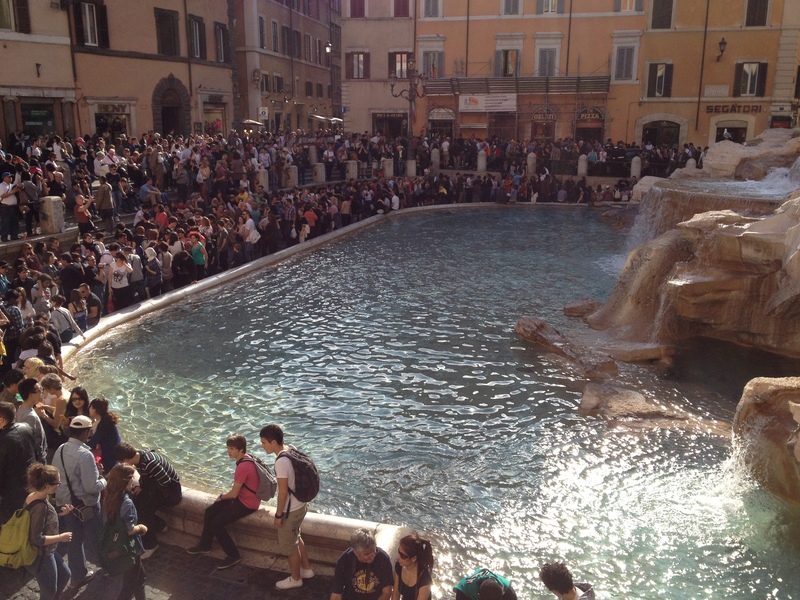 There are also these piazzas or squares that are gathering places. 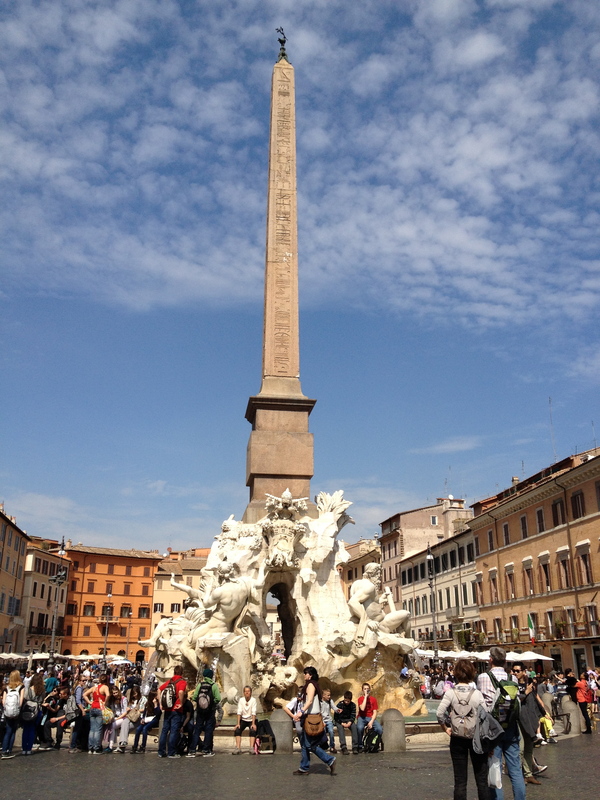 Many had obelisks like this one. Not a bad place to spend a morning…. 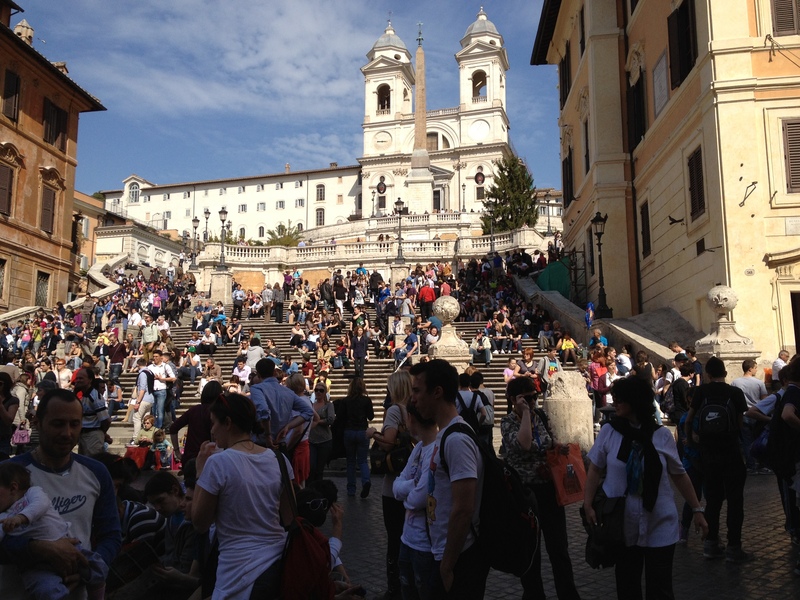 We had some free time at the Spanish Steps. Yes, we walked up the steps. In fact, we did a whole lotta walking on this trip. This was one of the top two pizzas that I’ve ever had (the one in New York was good too.) Tomatoes just taste different here. Everything is fresh and homemade. 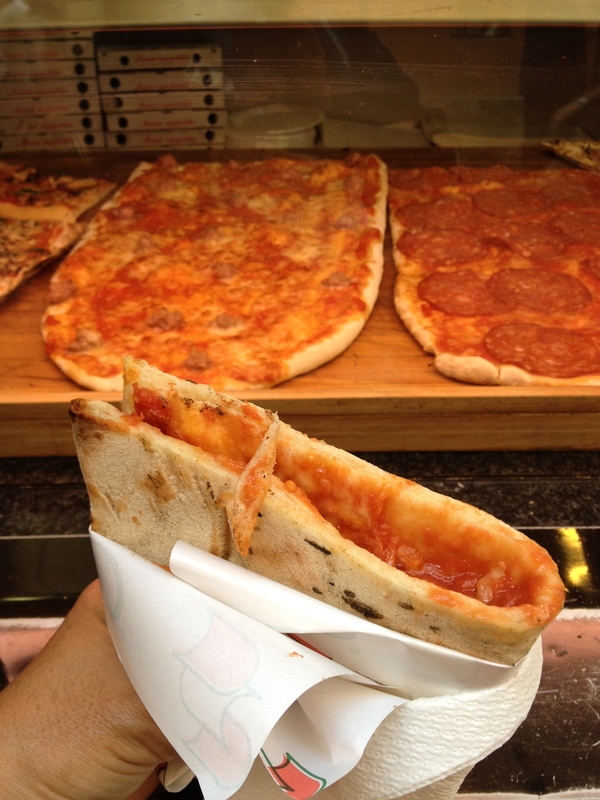 This pizza was sliced, then weighed on a scale, and then folded. It was so good. We had gelato for dessert. I actually brought a couple of Hawai’i quarters for this…. Dinner was at the La Baia Ristorante Pizzeria. We had bruschetta, lasagna, flan, and live music.